Wasp Problem! Responders Pest Control Has the Solution! Discovering a wasp nest tucked away in the corner of the garage, in the attic, or under an eave is no fun. Along with being a distraction, being bitten by a wasp can trigger severe reactions in some people. Instead of attempting a wasp removal on your own, call us. A professional wasp exterminator will know exactly what to do. Wasp control matters for more than one reason. The most obvious is that you don’t want children, elderly relatives, or even yourself to be stung. At best, those stings are painful. For those who are allergic to the wasp venom, they can cause serious health problems that require immediate attention. Part of wasp control involves getting rid of the nests. When that nest happens to be full of wasps, the task is anything but easy. Someone who is trained in wasp nest removal will know how to manage the task safely and also provide tips on how you can keep the home safe from future problems. There are several different types of wasps, with yellow jackets being among the most common. Yellow and black stripes are often present, and a wasp will have less of a fuzzy or hairy appearance than a bee. The body includes a thin waist. The abdomen tapers a bit before connecting with the thorax. Wasps also have stingers that remain intact after use. That makes it possible for the wasp to sting a victim repeatedly. Until the wasp flies away or is killed, it will keep stinging in an attempt to get rid of what the insect considers a threat. There are some signs that you need to start checking online for information about “wasp nest removal near me.” If you notice more wasps in the garden than usual, that indicates there is a nest nearby. Finding stray wasps in the house, even when the windows are closed, means there is concentrated activity somewhere on the property. If you notice some gently thumping sounds coming from the attic, that could mean a nest is now nestled somewhere along the roof line. Be mindful of damage to the wood in your home. Wasps sometimes chew on wood to get materials for a nest. If you notice tiny pin holes or tunnels in wood furniture, baseboards, and other parts of the home, the problem could be wasps instead of termites. Some people would urge you to run to the local store and pick up wasp repellant. The problem with this approach to wasp pest control is that is doesn’t actually get rid of the wasps. All it does it possibly kill a few of them. The same holds true for using a garden hose to blast down a nest from a safe distance. The wasps will scatter but soon be back to rebuild the nest. The only effective form of wasp nest treatment is to call a professional. A pro will be able to identify the type of wasp and take appropriate action. That includes knowing whether the task happens to be a yellow jacket infestation or if a hornet nest removal is in order. An expert has all of the right protective gear, can provide you with an accurate wasp nest removal cost, and ensure the job is done without anyone getting hurt. That same expert can provide some tips for wasp prevention that helps to keep the pests from coming back. Don’t try to deal with wasps on your own. The best move is to call a professional wasp removal service and arrange for an expert to take care of the problem. Call Responders Pest Control at (604) 757-1000 or contact us using the simple request form on our website. 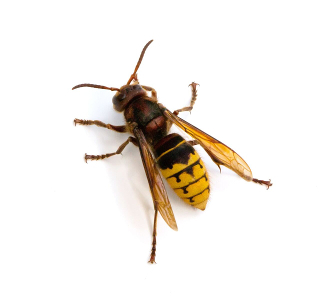 We provide help with wasp removal in Okanagan Valley, Kamloops area, Vancouver and the Lower Mainland. Once you contact us, we will have a professional on the way in no time.